Scene75 began as a dream several years ago with what the developers first deemed as less than a 1% chance of coming to fruition. The learning curve was steep, money was scarce, zoning required modification, the team was tiny and scattered, and the hurdles became more challenging with each passing day. Yet the team’s passion never dwindled, and in 2012, this dream became reality. Jonah Sandler, Chief Entertainment Officer, moved from Chicago to his hometown of Dayton/Cincinnati in 2009 to refine the model for Scene75. He left the world of management consulting and investment banking to take a giant leap of faith in pursuing a passion for the community, the entertainment industry, his family, entrepreneurship, and for developing something of great importance to the region. 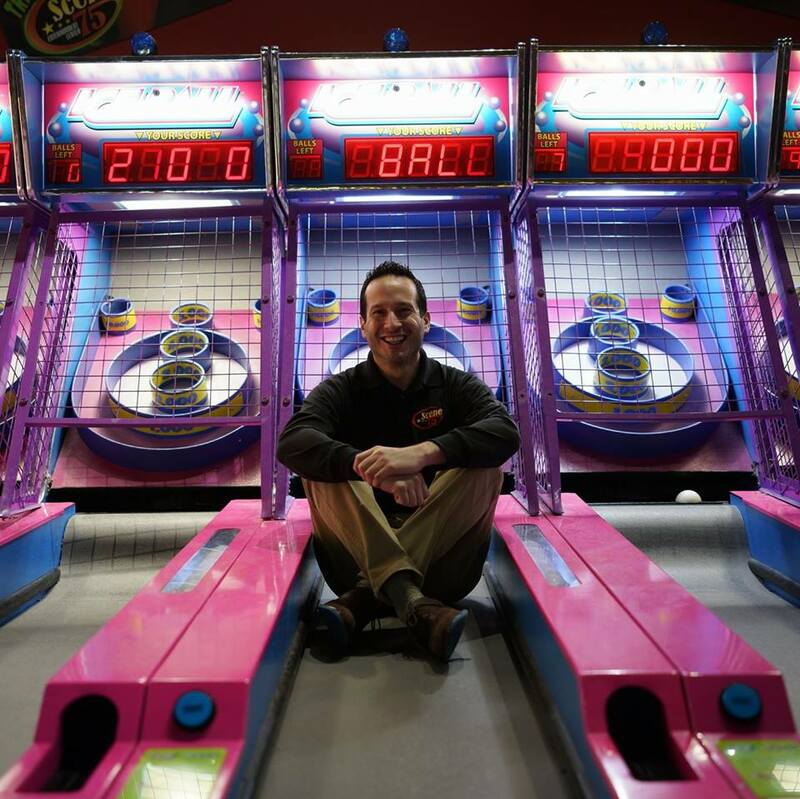 He began his career in family entertainment by designing Putters Par-adise, which has been voted the best of six miniature golf courses in Dayton in each year of its existence, and the Chaos Room, the first interactive gaming theater in the country. Soon after these facilities opened, Jonah began traveling the country to attend industry seminars; on his journey, he visited one entertainment center after another, taking with him ideas, inspirations, and most importantly, contacts. With a collection of ideas yet a scarcity of resources, Jonah began to share his vision with others in hope of attracting both operating and financial partners. The journey was challenging but with the help of lifelong friends, devoted family members, passionate strangers, and a very cool retired car dealer, the dream ultimately became a reality. All in all, it goes without saying how one of our favorite Scene75 sayings was born – it takes a community to build Scene75… and it takes another community to support it. We simply cannot succeed without your continued support. Scene75 expanded to a second location in 2015 in Cincinnati, Ohio and a third in Cleveland, Ohio in 2017. A fourth location and the first outside of Ohio is set to open in 2018 in Pittsburgh, Pennsylvania. We hope you will support Scene75 Entertainment Center to the fullest extent possible as our goal is to make this the absolute best entertainment facility in the country for you. We genuinely look forward to sharing our passion with you when you visit us at Scene75!